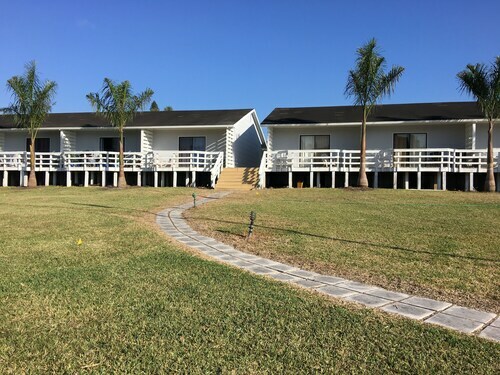 Situated in LaBelle, this hotel is 0.1 mi (0.1 km) from Port LaBelle Marina and within 6 mi (10 km) of Firehouse Community Theatre and LaBelle Heritage Museum. Captain Hendry House is 5 mi (8.1 km) away. Situated in LaBelle, this motel is within a 15-minute walk of Firehouse Community Theatre, LaBelle Heritage Museum, and Captain Hendry House. Port LaBelle Marina is 4.4 mi (7 km) away. Situated in LaBelle, this motel is within a 15-minute walk of LaBelle Heritage Museum and Firehouse Community Theatre. Captain Hendry House is 1.1 mi (1.7 km) away. Situated in a rural location, this vacation home is 2.6 mi (4.2 km) from Port LaBelle Marina and within 6 mi (10 km) of Firehouse Community Theatre and LaBelle Heritage Museum. Captain Hendry House is 3.9 mi (6.3 km) away. How Much is a Hotel Room in LaBelle? 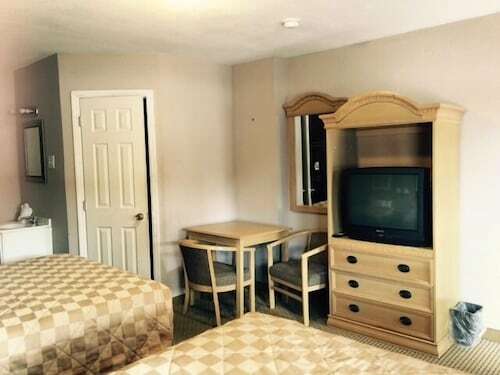 Hotels in LaBelle start at $95 per night. Prices and availability subject to change. Additional terms may apply. Are you researching a trip to La Belle? Travelocity features no hotel options, however, there are 2 places to stay within a 10-mile (16-kilometer) drive of La Belle. 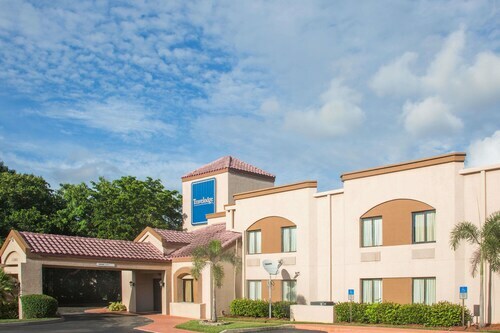 The closest Travelocity hotel is the Port Labelle Inn, Southwest Coast Florida, which lies 10 miles (16 kilometers) from the heart of La Belle. Also, you might consider the Lehigh Resort Club, located in Southwest Coast Florida, which is 16 miles (25 kilometers) from the city center. The Seminole Casino Hotel Immokalee is located 16 miles (25 kilometers) from the middle of La Belle. 10 miles (17 kilometers) away is the LaBelle Motel , which is another option. After spending time in La Belle, it's worth putting aside some time to soak up the many natural and cultural attractions of the South Florida area. South Florida has beaches, and commonly visited destinations are lighthouses. Visitors and locals alike in this region of United States of America love hiking and cycling. 45 miles (71 kilometers) to the north of La Belle, you will reach Lake Placid, where you can enjoy Lake June in Winter Scrub State Park and Lake Placid Tower. A few Travelocity-listed Lake Placid places to base yourself include the Holiday Inn Express Hotel & Suites Lake Placid and Lake Grassy Inn & Suites. 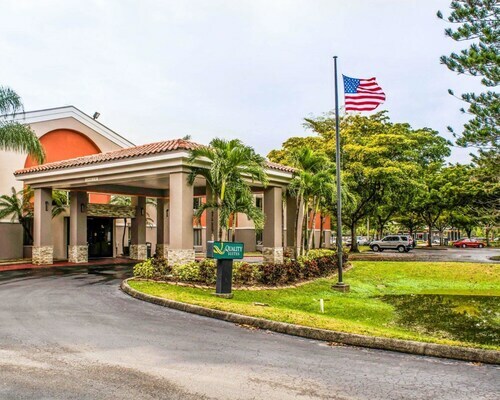 60 miles (93 kilometers) to the north of La Belle, you can find Sebring, which features the Residence Inn by Marriott Sebring and La Quinta Inn & Suites Sebring. The Veterans Beach and Sebring Golf Course are some more frequented points of interest to experience should you visit Sebring. Prior to leaving Heartland, make sure you watch some sport. Swing by Arcadia Rodeo Arena, which you will find to the northwest of La Belle. Stay surrounded by the action at the Holiday Inn Express Hotel and Suites Arcadia or the Knights Inn Arcadia. 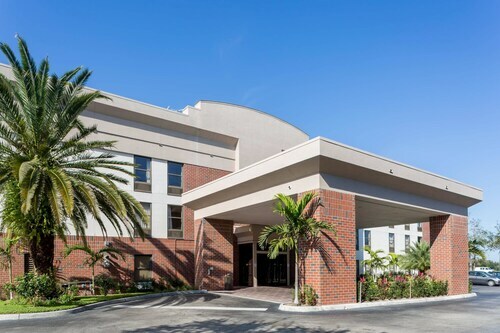 For the modern traveler flying via Southwest Florida International Airport, you may choose to book accommodation at Holiday Inn Ft. Myers Airport-Town Center, or Hilton Garden Inn Fort Myers Airport/FGCU, which can both be found close by. Clean, pretty & close to airport. Only started one night. I really liked the room and its location. It was peaceful and quiet but right off the elevator. The hotel was conveniently located near the shopping outlet, restaurants, tennis courts, dollar stores, and gas stations. The beach was not too far away .